Celebrating the life of Roger Allen Mater, Sr.
Obituary for Roger Allen Mater, Sr.
MATER, Sr., Roger Allen - Age 70, of Flint, died Friday, February 8, 2019. Cremation has taken place and a memorial service will be held at a later date. Those desiring may make contributions or donate seeds to Keep Genesee County Beautiful. Roger was born February 7, 1949 in Sandusky, the son of Rolland and Ann Marie (Lipke) Mater. He was employed as a truck driver. He married Tammy Dawn Hall December 21, 1985 in Kansas. 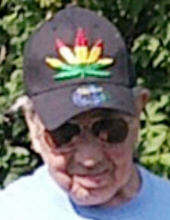 He was a master gardener and was a member of Keep Genesee County Beautiful. Surviving are: his wife Tammy; children, Roger (Cheryl) Mater, Jr., April Mater, Gina (Lyle) Lantner, Sharee Mater, Dayna Mater, and Jon (Crystal) Mater, and many extra's; grandchildren, Richie, Jay J., Ashley, Autumn, Amanda, Chance, Damnitry, Paiton, Jaxsin, and Keaton. He was preceded in death by his parents; daughter, Sherrie; brother, Rolland Mater. Tributes may be shared at www.sharpfuneralhomes.com. To send flowers or a remembrance gift to the family of Roger Allen Mater, Sr., please visit our Tribute Store. "Email Address" would like to share the life celebration of Roger Allen Mater, Sr.. Click on the "link" to go to share a favorite memory or leave a condolence message for the family.